Comment: Albertson clipped a quad, launched off a berm and hit a wall in practice in San Diego, cutting his knee open and badly spraining his wrist in the process. Albertson received stitches on his knee and wasn’t able to ride the week before Dallas, but still made the main. He will be racing in Atlanta. Comment: Team Honda Muscle Milk’s Trey Canard suffered a broken arm over Thanksgiving weekend while testing and had surgery to put a plate in the arm. The original hope was what Canard would return at Dallas, but that didn’t pan out. He was released last week and has been doing some light riding, and the team is hoping to have him back on the line within several weeks. Comment: Gilmore suffered a broken collarbone in practice at Anaheim 2. He underwent surgery to have a plate put in. He just started riding last week and expects to come back in Atlanta. Comment: Grant suffered a torn muscle in his shoulder in practice at round two in Phoenix. He tried to race through the pain, but he wasn’t able to perform to his potential. After two weekends off, he will return to racing in Atlanta. Comment: Hill broke his collarbone in Oakland, but somehow managed to only miss one race after getting the bone surgically plated. The injury is not expected to cause him to miss any more rounds. Comment: Howell will be back on the gate in Atlanta and plans on hitting every race for the rest of the season. Comment: Millsaps tore his ACL this off-season at Milestone and had surgery in mid-December. 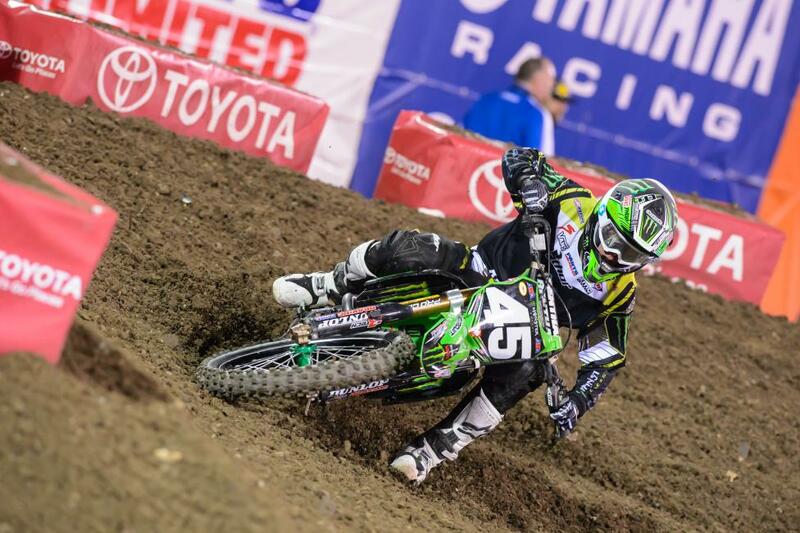 At Anaheim 2, Millsaps was hoping to be back by Atlanta, but has changed his return date to Houston. Comment: Partridge underwent surgery earlier this week for his torn ACL and will likely miss the rest of Monster Energy Supercross. 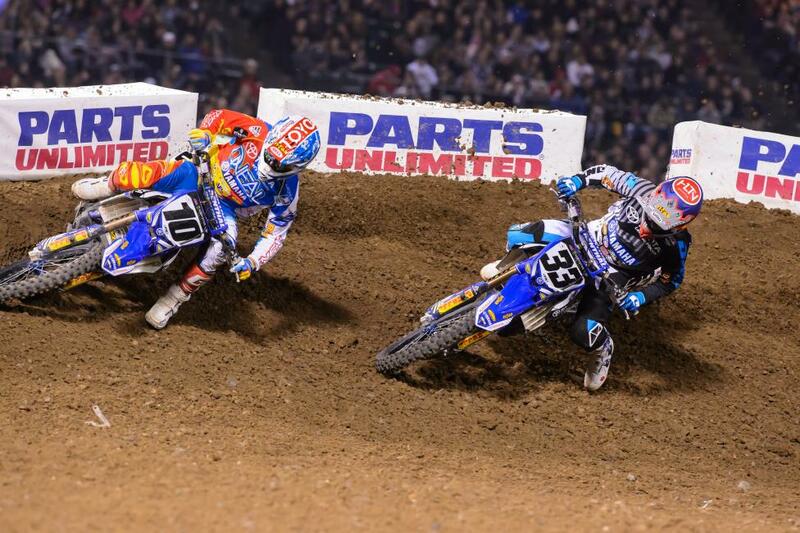 Comment: Reed went down hard on the final lap in San Diego. Despite his injuries he still attempted to race in Dallas, but it didn’t work out. Said Reed in a press release: “For me I’m ready to heal up and get back into training and focus my time and energy on getting ready for Outdoors.” Monster Energy/Pro Circuit Kawasaki rider Dean Wilson will fill in for Reed but won’t start in Atlanta. Indy next weekend is most likely. Comment: Pennsylvania privateer Broc Schmelyun will miss all of Monster Energy Supercross after breaking both legs in a late December practice crash. 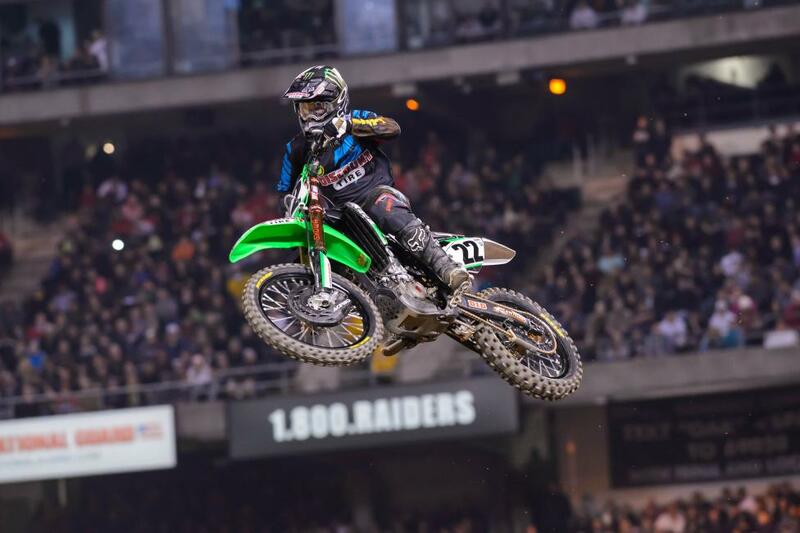 Comment: Shane Sewell broke his foot at Anaheim 1 during the second 450SX heat. He plans on returning to racing in Indianapolis. Comment: Bell was claimed by a tricky triple-triple-triple section featured in Phoenix. The bone, which required surgery, was broken in three places and will sideline the Western Regional 250SX rider until Lucas Oil Pro Motocross. Comment: Privateer Casey Hinson is hoping to return late in the series after a December practice crash where he reportedly clipped a landing in a rhythm section and went headfirst into the ensuing jump. Comment: Kiesel broke his jaw completely through in two places and had to have it wired shut, along with chipping five teeth in practice in Dallas. Kiesel qualified for the night show but was unable to compete. He has already had surgery. He originally planned to race this weekend, but announced on Twitter today that he will miss Atlanta. He hopes to return at Daytona. Comment: Martinez broke his wrist at A3. He had surgery and hopes to be back racing by Houston. Comment: Red Bull KTM’s Marvin Musquin suffered a torn ACL in early December and has already undergone surgery in his home country of France. We talked to the team last weekend in Dallas and they said that Musquin has returned to training in the U.S. but is not back on his motorcycle yet. Judging by a recent Tweet from Musquin, we won’t see him in action until the 2014 Lucas Oil Pro Motocross Championship. @jasonm4377 unfortunately no. Got injure. Hope to back for outdoors. Comment: Osborne sustained two small fractures in his clavicle at A3 during practice. He is expected to be ready when the Western Regional 250SX championship resumes in Houston. Comment: Privateer Austin Politelli suffered a broken femur while testing at Milestone the week before Phoenix. No timetable has been set for his return. Comment: The 2013 SX Rookie of the Year is expected to miss some time on the Eastern Region after a huge crash at Milestone in early December resulted in a broken wrist, an AC separation, broken ribs and partially collapsed lungs. Savatgy has been visiting the doctor every two weeks to check on his progress, but is still not ready to race.